Pope Francis issued a sweeping apology Sunday for the "crimes" of the Catholic Church in Ireland, saying church officials regularly didn't respond with compassion to the many abuses children and women suffered over the years. 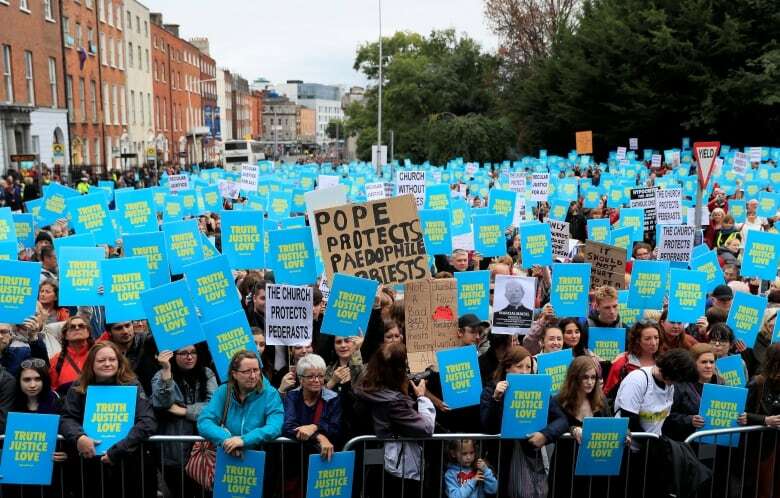 But as Francis led a mass attended by more than 100,000 people in Dublin's Phoenix Park, elsewhere in the city victims of abuse were joined by activists and supporters to protest against the first papal visit to Ireland in almost 40 years. They asked members of the public to stand in solidarity with them over what they call an attempt to silence and marginalize those the church harmed. The demonstration held in the Irish capital's Garden of Remembrance was organized by Colm O'Gorman, a victim of clerical child abuse. Participants said they had urged people to book tickets for the papal visits in Ireland with the intention of not using them to create empty seats and lower attendance numbers. 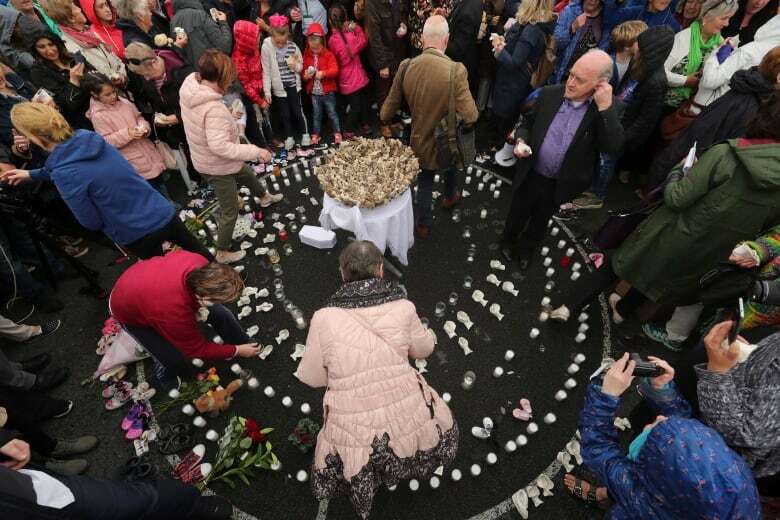 Meanwhile, hundreds of kilometres away, sombre protesters marched through the Irish town of Tuam and recited the names of an estimated 800 babies and young children who died at a Catholic Church-run orphanage there, most during the 1950s. Francis, who is on a weekend visit to Ireland, told the hundreds of thousands of people who turned out for Mass that he met Saturday with victims of all sorts of abuses: sexual and labour, as well as children wrenched from their unwed mothers and forcibly put up for adoption. Responding to a plea from the adoptees, the pope assured their aging biological mothers that it wasn't a sin to go looking for the children they had lost. The women had been told for decades that it was. On Twitter, Irish Prime Minister Leo Varadkar also welcomed the pope's move, but stressed the need for the church to take action. The American church's scandal took a new twist Sunday when two conservative Catholic news outlets, the National Catholic Register and LifeSiteNews, published a letter attributed to a former Vatican ambassador to the United States. The letter attributed to Archbishop Carlo Maria Vigano accused Vatican officials of knowing about the sexual escapades of ex-Cardinal Theodore McCarrick since 2000 but making him a cardinal anyway. Francis accepted McCarrick's resignation as cardinal last month after a U.S. church investigation determined an accusation he molested a minor was "credible."